I have VERY FOND MEMORIES of this game. Spent countless hours playing it. 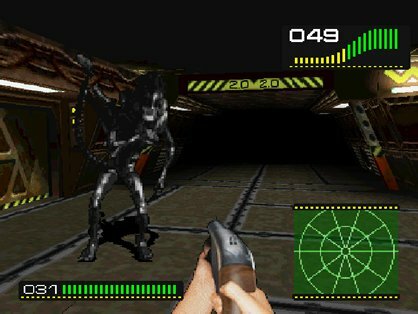 In fact, I enjoyed it more than any other Alien VS Predator or Alien game ever (except for Isolation of course which is by far the best Alien video game), because it focused on the Aliens, contained gameplay mechanics which made the game really creepy and oppressive, and the overall atmosphere was extremely dark. Not a fan of the way the face-hugger is reduced to a health-depleting enemy rather than a deadly threat, and I'm frankly bewildered by the "story" which makes literally no sense - I'll talk more about it later - and in the end the game is quite repetitive, but I still enjoyed it A LOT. Spent many a happy hour with this one as a kid. I loved the opening cinematic with the lander. God, this game was so much fun.